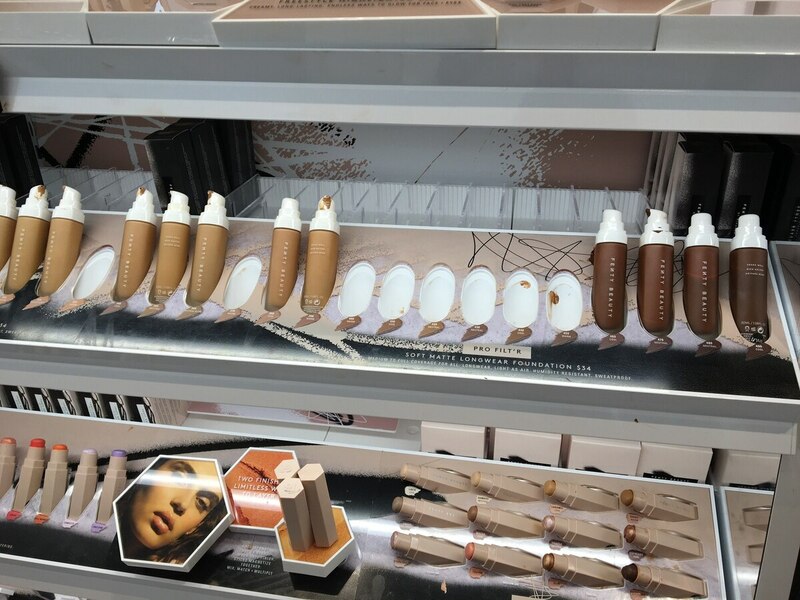 Fenty's foundation line offers 40 matte shades, providing more options for people of color. Rihanna’s latest endeavor, Fenty Beauty by Rihanna, is already a hit across the country, but USC students appear indifferent to the brand’s popularity. The chart-topping pop star, known for her eccentric style and feminist attitude, released a new “all-inclusive” line of makeup called Fenty Beauty. Many celebrities have dipped into the makeup industry, but what sets the “Good Girl, Gone Bad” singer apart is her inclusivity of offering over 40 matte foundation shades, ranging from light to dark skin tones. Rihanna is seeking to create her own lane within the industry, but beauty and body image expert Lisa Pecot-Hebert, who is also a USC Annenberg professor, said there have been other diverse brands before Fenty. Fenty Beauty might not be the first to cater to people of color, but Rihanna’s new line of cosmetics is creating more options for diversity within the makeup industry. 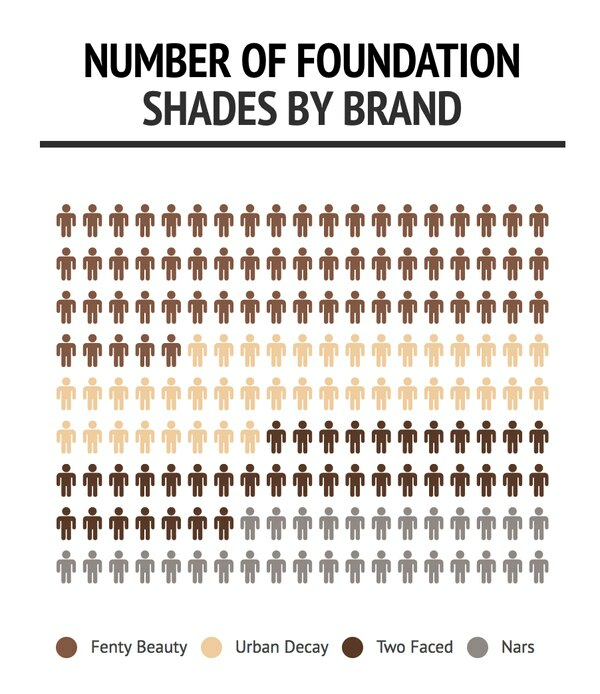 Compared to makeup brands in a similar price range, Fenty offers the most versatility in foundation shades. The brand is already a success at Sephora’s Hollywood & Highland location, according to Cody Hutsell, the store’s manager. Students like Lauren Floyd, a graduate student studying journalism, are fans. An 1.08 ounce bottle of the Pro Filt’r Soft Matte Longer Foundation sells for thirty-four dollars, which is more affordable than high-end brands like Nars, Tarte and Laura Mercier. “It’s not ridiculously expensive [just] because Rihanna makes it. It’s affordable for the average person, said Anika Washington, a senior studying global health. Freshman Naomy Villanueva, who is studying business administration, doesn’t expect to purchase Fenty makeup, but does know of friends and family who pre-ordered the product. “My best friend and cousin are both on the darker skin tone side, and they were the only two people I actually saw that appreciated the product and actually bought makeup,” she said. With Fenty offering 40 different skin tone shades, the brand demonstrates a move towards inclusivity by a celebrity figure that represents diverse opportunities in the fashion and beauty industry. “I’m hoping that makeup will be the precursor to the fashion industry and the modeling industry in a whole to be more inclusive of what beauty should look like — which is different,” Pecot-Hebert said.